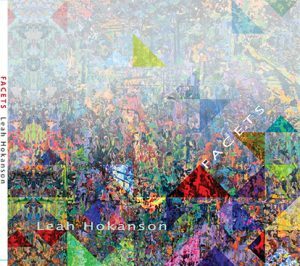 Join Lulu Performing Arts in celebrating the release of Leah Hokanson’s new album FACETSTickets are $20 in advance at North Road Sports and include a CD or digital download, $25 at the door, $5 Youth 16 and under. 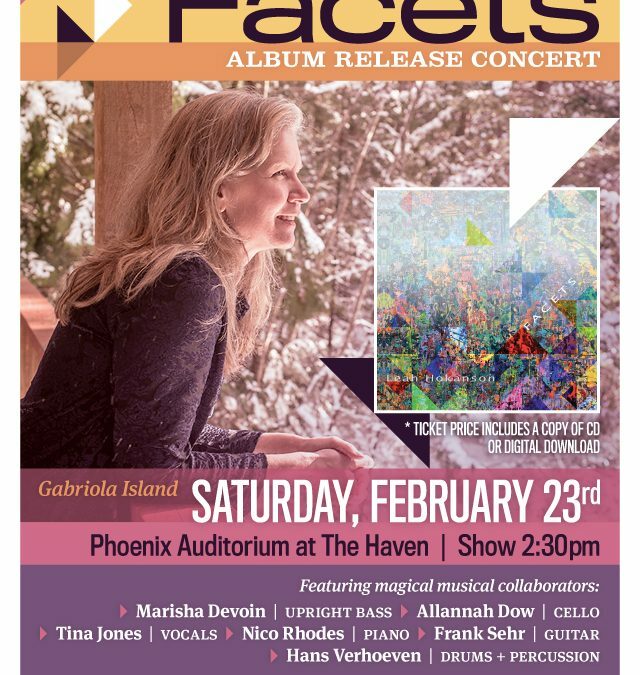 Gabriola’s own Leah Hokanson will delight us all in concert with music from her beautifully diverse album “FACETS”. She will be joined by her friends who are featured on FACETS: Marisha Devoin, acoustic upright bass; Allannah Dow, cello; Tina Jones, backup vocals; Nico Rhodes, piano; Frank Sehr, guitar, and Hans Verhoeven on drums/percussion. Her album is appropriately titled; we know Leah herself is multi-faceted and brilliantly dynamic both in the performance and composition of music. From the comedic narrative of “More Like Me”, to the ethereal beauty and prayer-like “Be Lived”, there will truly be something for any music lover at this celebratory concert. Tickets are $20 in advance at North Road Sports and include a CD or digital download, $25 at the door, $5 Youth 16 and under.